Colorado's hemp farmers are growing excited at the possibility their crop will once again become legal under federal law, as the U.S. Senate passed a farm bill that includes legalizing hemp. 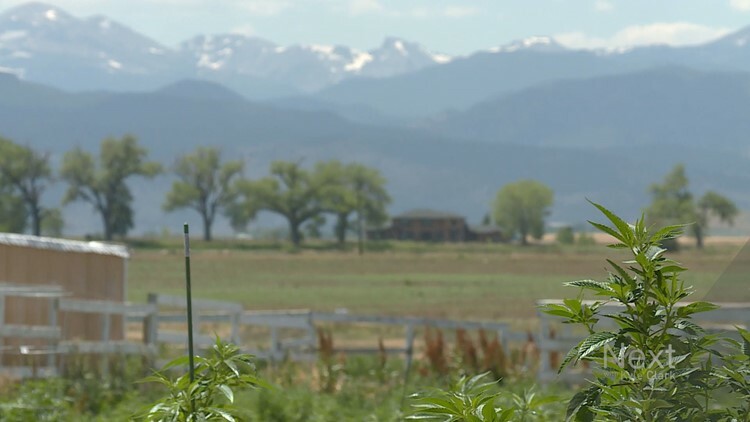 LONGMONT, COLORADO— Colorado’s hemp farmers are growing excited at the possibility their crop will once again become legal under federal law, as the U.S. Senate passed a farm bill that includes legalizing hemp. Congress doesn’t seem likely to legalize marijuana anytime soon, but hemp— a non-intoxicating version of the same species of plants-- would be removed from the list of federal controlled substances. Colorado&rsquo;s hemp farmers are growing excited at the possibility their crop will once again become legal under federal law as the US Senate passed a farm bill that includes legalizing hemp. In Colorado, it's mainly grown for food in the form of hemp seed and oil. It’s also grown commonly here for CBD, a natural compound in cannabis that doesn't get you high but does have medical uses for things like seizures. Historically, farmers grew hemp for the fibers in its stalk, which can be used for making rope and paper. The federal government even promoted the crop to farmers as part of the war effort in the 1940s, and the USDA cut a propaganda film called “Hemp for Victory,” complete with instructions for “patriotic farmers” to plant and harvest hemp. Hemp farmers in Colorado hope to see processing facilities spring up to revive this kind of use of their crops. But the federal government’s stance on hemp turned 180. Even though it's no good for smoking, hemp currently has the same sort of legal status as pot does: legal under Colorado state law and illegal under federal law. And that means hemp farmers have to deal with some of the same headaches that pot shop owners do. “We've had multiple bank accounts been shut down,” Billings said. Banks frequently decline to work with cannabis businesses for fear of being accused of helping people to break federal drug laws. Billings says hemp farmers also have some unique problems because of the current federal laws. Most farmers buy crop insurance to protect themselves. Because of the federal law against hemp, it's a crop that can't be insured. With no coverage, that's just a loss. Despite that kind of extra risk for farmers, more of them are planting more acres of hemp in Colorado. “This crop will make you money if it's farmed properly,” said Bill Billings, Dani’s father—who does consulting work for farmers interested in growing hemp. The cash potential of the crop has made it an attractive option for some farmers who are having trouble turning a profit off of corn or soybeans. Which may explain why the idea of legalizing hemp is getting bipartisan love in Washington right now, even in today's belligerent brand of politics. Both of Colorado’s US Senators supported the farm bill and its hemp provisions, which were sponsored by majority leader Mitch McConnell. The House passed a different version of the farm bill and the differences will need to be ironed out before it can be sent to the president’s desk.